Integrated Project Delivery (IPD) and Lean Construction aren't just buzz words in our industry, it is the future of construction project delivery. The attached article posted on the Maine.biz website outlines the benefits that the team is seeing on the MaineGeneral Medical Center project. Click here to read the full article. Dan Coppinger, President of our MMC Contractors Las Vegas office, talks with the Las Vegas Business Press about gaining momentum in the world of construction. In the article Dan says that "We seem to be relatively busy, considering the economy." To read the full article click here. Teamwork is alive and well in Las Vegas! 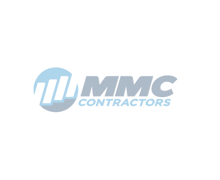 On Friday, September 21, 2012 at 3:02 p.m., we received notice that MMC Contractors would be the mechanical contractor on a Macy's remodel at the Fashion Show Mall. In the Summer 2012 issue of smart solutions MCAA featured MMC Contractors use of TSI tools on the Crystal Bridges Museum of American Art. The TSI automated systems saved 300 percent in layout time according to MMC Contractors. Read more in the full article by clicking on the attached PDF.